I can’t remember the last time I bought bread at the store. I’m finding easier ways to make my own delicious and healthy homemade bread and this may be the easiest and fastest. I’m done with proofing yeast and rising dough twice. This is my go-to bread that I use for sandwiches, French toast (it soaks up the eggs in seconds! ), and soft bread crumbs. A few things to keep in mind when baking bread: 1) An instant read thermometer really helps to measure the temperature of the milk. Too hot and you’ll kill the yeast – too cold and it won’t grow. 2) Other additions should not be cold, like the oil and egg. If I’m short on time to warm up a cold egg I have been known to put it in my apron pocket and let my body heat warm it up. Note to self: *Next time, let your partner know about the egg before he hugs you goodbye! This is one of my most popular recipes, probably because it’s so easy. 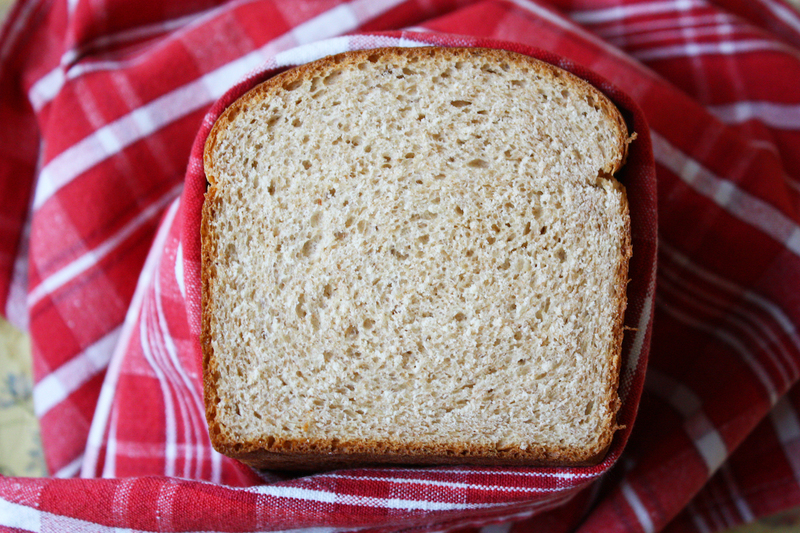 Well, it’s also because it’s a really soft wheat bread, perfect for sandwiches or toast. I tried making it with 100% whole wheat flour but without much success. It didn’t want to rise and it was too dense and heavy so it needs some bread flour in the mix. 2 Comments on "Easy Whole Wheat Bread"
Hi Jenny! Just wanted to say it’s so good to see you, again. I remember watching you on TV. Thanks for sharing your recipes, also. 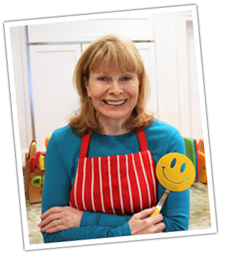 I’m always looking for healthy, tasty recipes!